The new Samsung EVO microSD line is designed for the more mainstream demographic of consumers, specifically for those looking for reliable performance with their high-end smart phones, tablets, and cameras. The EVO Series microSD cards come in three different capacities, 16GB, 32GB, and 64GB each sporting a sleek white and orange design. These tiny flash cards are also water, shock, magnet, X-ray and temperature proof. As far as performance goes, the Samsung EVO microSDs are quoted to deliver 48MB/s reads (with no indication of write activity) supporting a UHS Speed Class 1 and Class 10 video recording ratings. When we put it through our tests, it measured just below those figures with a sequential read and write of 44.1MB/s and 19.1MB/s respectively, while random activity boasted 43.9MB/read and 32.0MB/s write. The large-block random write speed we recorded was particularly surprising, and easily the best we have seen for its class. 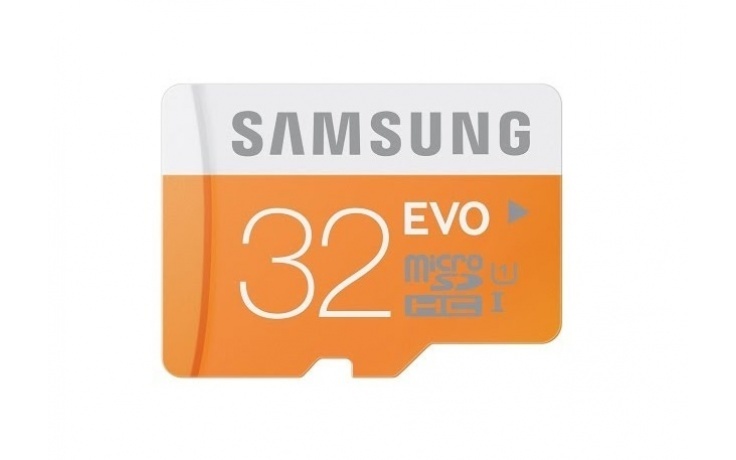 The Samsung EVO line also offers a very competitive price point for their microSD cards, which go for a street price of approximately $12, $19, and $38 for the 16GB, 32GB, and 64GB capacities respectively. In comparison to cards of similar class, this is essentially the lowest priced card from a well-known brand name all the while offering superior performance. It’s safe to say that all of Samsung’s newly released flash cards are posed to make a serious impact on the market.